FXFair is a reputable broker who has been delivering transparent and trustworthy services that traders can rely on since 2013. We constantly strive to help set industry standards, engender trust and build our reputation for excellence in secure and transparent online trading. 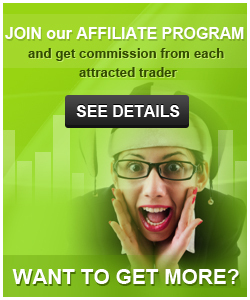 With FXFair, you will get instant access to the wide world of Forex trading. For this, we use deep liquidity with real ECN connectivity and market leading spreads of the largest tier 1 financial institutions in the world like LMAX, Alpha Capital Markets, CFH, FXCM. To make this possible, we use MetaTrader 4 platform and the bridge technology to ensure your trades go directly to the market with no interventions whatsoever. Here at FXFair, we are dedicated to providing you with the top-notch trading environment, so that you can focus on what really matters – trading and achieving remarkable results. With our fair up to 20% deposit bonus, you can enhance your trading experience while enjoying FXFair's superior execution quality and industry leading trading conditions. 2. Make a deposit of $100 or more. The more you fund, the larger boost you will get! Register today and earn more while funding less! The Bonus is available from Dec 15, 2016 until Dec 31, 2016. The Bonus is available to all clients who have a live Standard or Real ECN account with FXFair. To collect the Bonus, a client has to email his trading account number at support@fxfair.com using the bonus code REWARD ME within 7 days after making a deposit. The Bonus can be claimed only on a deposit, which is not covered by any other campaign, offer or bonus. The minimum deposit amount is $€100 and the maximum cumulative Bonus amount is $€500 per client. 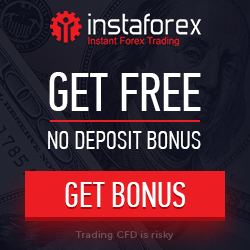 To withdraw the Bonus, a client has to trade at least 1 standard lot for each $€5 of the Bonus. Trading volume is accounted for all currency pairs and metals. The Bonus cannot be transferred between eligible client’s trading accounts. Any withdrawal or internal transfer of funds from an eligible trading account will automatically nullify the Bonus amount that didn’t meet the required trading volume criteria. Example: As a Real ECN account holder, you made a deposit of $1,000 and received a Bonus of $100. After trading 15 standard lots, you decide to make a withdrawal. The Bonus amount you will get is $15*5 lots=$75, while the remaining $25 of the Bonus will be nullified. FXFair reserves the right to change the terms of the Bonus or cancel it at any time. FXFair reserves the right to disqualify any user if there is a suspicion of misuse or abuse of the Bonus rules. 2. Contact FXFair to have the funds transferred from your old account to the new one.